by Eric Freeman, Susanne Hupfer, Ken Arnold, P.E. Very Good. JavaSpaces is a mechanism for sharing, co-ordinating and communicating distributed Objects across a Java network. 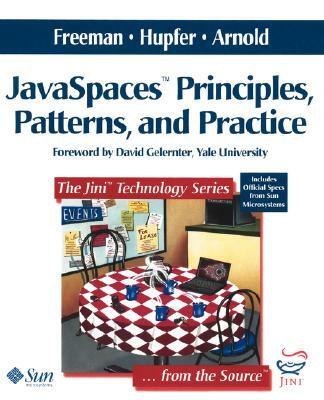 This text provides a guide to JavaSpaces. Trade paperback (US). Glued binding. 368 p. Contains: Illustrations, black & white. Jini Technology. Good. JavaSpaces is a mechanism for sharing, co-ordinating and communicating distributed Objects across a Java network. This text provides a guide to JavaSpaces. Trade paperback (US). Glued binding. 368 p. Contains: Illustrations, black & white. Jini Technology.